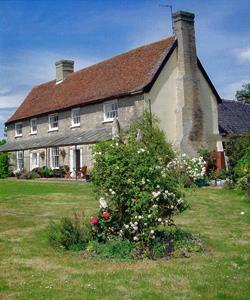 This quiet and peaceful B&B offers clean, comfortable accommodation with locally sourced ingredients. Producing a hearty breakfast to start the day. Prime seafront position. All bedrooms en suite. Colour TV and hospitality tray. Children welcome. 24 hour access. Non smoking. Wi-Fi. Good rates for business people and workers living away from home in the week. Ideal for local weddings and family gatherings. The traditional buildings in the Courtyard have been converted into four individual generously proportioned en-suite bedrooms, all tastefully furnished. A grade II listed building in the centre of Stowmarket & all its amenities. Despite being in town the location is surprisingly quiet. This 4* guesthouse can offer evening meal on request. Ideal for exploring Suffolk. 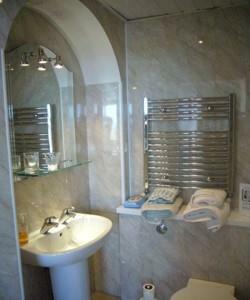 Grove House Hotel is a privately owned 10 bedroomed guest house. 3* AA & Tourist Board. 25 mins walk from Woodbridge town centre. Internet access. Ample Parking. Wheelchair access. Family Room. Garden area. Cyclists & walkers welcome. Set in three acres of beautiful gardens and woodlands the Drinkstone Park offers a peaceful retreat in the heart of rural Suffolk. En-suite double bedrooms with TV, hairdryer, tea/coffee facilities. Freshly cooked breakfast using local produce, homemade bread and jams. Lounge, log burning stove, TV, video. Bridge House is a traditionally furnished Grade II listed period house in a conservation area and offers comfortable accommodation and excellent food, which is locally sourced wherever possible. Enjoy a relaxing stay in our Georgian farmhouse set in beautiful secluded gardens. Comfortable accommodation furnished to a high standard. Ideal for visiting the Broads and Heritage Coast. County walks. Full English breakfast served. Historic Grade II thatched farmhouse located at the Cambridgeshire/Suffolk border, close to Newmarket for horse racing and sales. Perfect for exploring the East Anglian countryside or visiting Cambridge and Ely. High House Farm is a beautifully restored 15th Century Farmhouse with exposed oak beams and large inglenook fireplaces set in attractive gardens. We offer great welcome, great breakfast. Mostly organic, parking. 15 minutes walk to the beach. Many extras included in rooms. 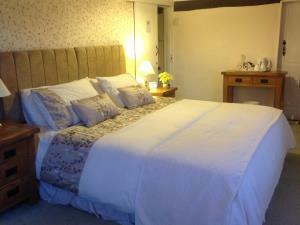 4 star riverside bed and breakfast set in 27 acres yet only 5min walk from the centre of Lavenham. Somerton, large enough to cope, small enough to care. Set in a prime position overlooking an award winning beaches. Using local produce, special diets by arrangement. All our rooms have digital TV & many other extras including free WiFi. An elegant Edwardian House ideally situated for visiting Ipswich and the surrounding area on business or for leisure. Our breakfasts are cooked using top quality, fresh, local ingredients. 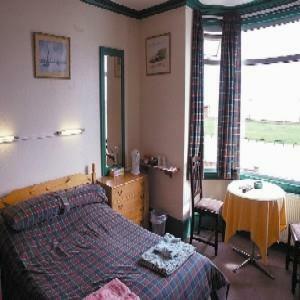 A beautifully appointed world of comfort, care and AGA cuisine awaits you at this lovely seafront guest house. With en-suite family rooms overlooking the sea and South Beach and offering special rates for families. Converted barn adjoining Artist Studio, in an Area of Special Landscape, and perfect for business visitors, sailing and golfing holidays. All rooms are ensuite with TV, DVD & WiFi & furnished to a high standard. Ground floor 'disabled friendly' twin/ double with wet room. Attractively beamed lounge & dining room with individual tables. The Barn has homely charm & rural views.